Today we will discuss some ferret care tips. Use these ferret facts to keep your ferrets healthy and happy. 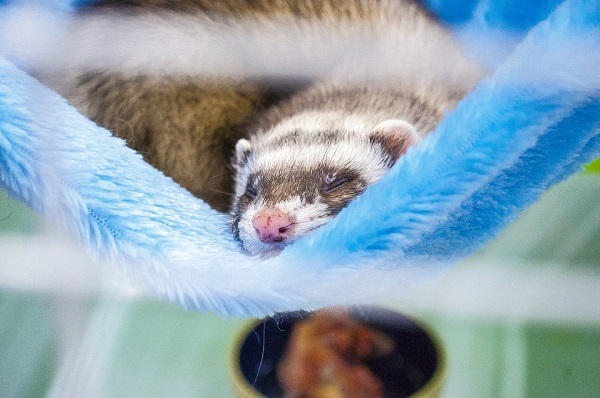 Ferrets love living in den like environments. You can pick out a wire cage with adequate ventilation, making sure that the dimensions are at least 18x18x30 (length x depth x width). Line the bottom of the cage with a soft padding. Avoid using newspapers or cedar chips which can cause breathing and staining problems. Important ferret care 101 tip! Always keep the ferret’s cage away from direct heat or sunlight. These animals need shade with an ideal temperature range of 55 to 70 degrees. 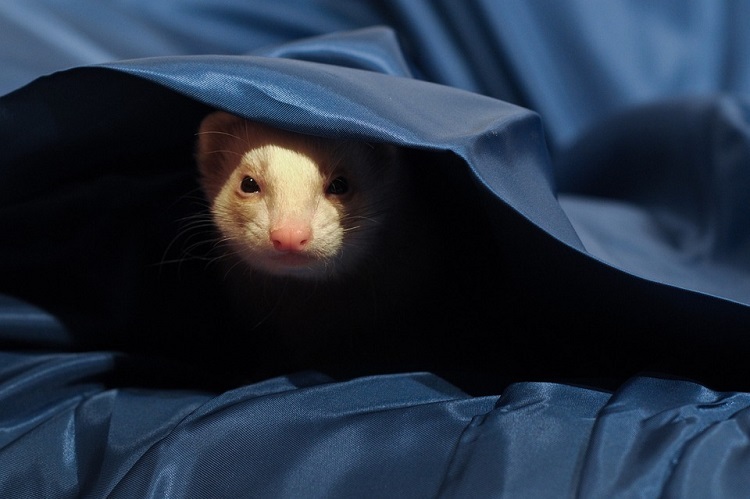 Clean the ferret’s bedding and carpet with mild bleach and/or detergent and hot water. Disinfect the cage to deter bacteria, fungi and other pathogens like ticks, fleas, lice and mange that can harm your pet’s health. Another important aspect of ferret training is litter literacy. Teach your pet to use its litter box. You can use a small 3×5 inches box for this purpose. Place the box in the cage at one side away from bedding and feeding areas. Fill up the box with pellet litter material made from plants or paper. Ferrets are not as clean as cats; so you will need to scoop out the litter every now and then. 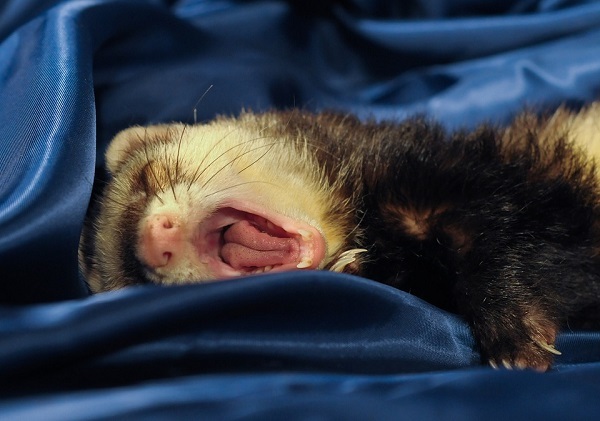 Ferrets need adequate rest and sleep of up to 20 hours. When awake though, they like to play. Active ferrets are happier and healthier so you must provide them with adequate entertainment. Ferret care sheet recommends use of PVC pipes old/broken dryer hoses etc through which they can crawl out. You can secure these and other toys to the top of the ferrets’ cage so they can play with them from time to time. Ferrets eat 6-7 small meals throughout the day. Place a small ceramic feeding dish in the cage and also attach a water bottle nearby so your pet can help itself. Ferrets like meat and you may feed them a diet consisting of 32% protein and 18% good fats. Many owners like to feed cat food to ferrets-and that is acceptable. Talk to your vet who can guide you. Good brands of high quality ferret food are also readily available these days. Never feed dog food to ferrets. Also avoid human snacks, sweets and salty stuff as it can harm the ferret’s health. You can feed healthy treats to ferrets such as readymade cereals that are low in sugar and salt, and eggs, broccoli etc. Ferrets are social animals and love spending time and playing with their owners. Make sure you handle ferrets gently as they have fragile bone structures. Never hold your pet by its tail. Ferret training is a good way of bonding with your pet. You can also teach them basic commands and words. Make use of treats and speak in a gentle voice. An ideal way of holding a ferret is cradling its hips and supporting its chest. Never point a finger at it as it might think you are its enemy. Most ferrets do not like bath times but ferret bathing is an essential part of ferret care 101. An important rule here is to use a mild, vet approved kitten shampoo. You may also use ph balanced baby shampoo. Never use harsh human or dog shampoos that tend t strip off their skin’s natural oils. Ideally you need to bathe your pet once every fortnight or once a month. If your ferret has specific skin issues like ringworm, you might want to use medicated shampoos or lime sulfur dip to bathe it. Use warm water for bathing since hot water can ruin your pet’s fur. Ferrets are prone to parasites like lice, ear mites etc. So check their fur and ears from time to time. You can invest in a good quality ear cleanser to clean its ears out every once in a while. Fleas and ticks are also an issue so seek help of a vet to come up with an integrated pest management program to prevent them. Just like dogs and cats, your ferrets need regular medical checkups. Visit your vet for vaccination programs and schedules for your pet. This will keep your pet healthy and disease free. Use these 10 easy ways and ferret care 101 guide to take care of your ferret/s.